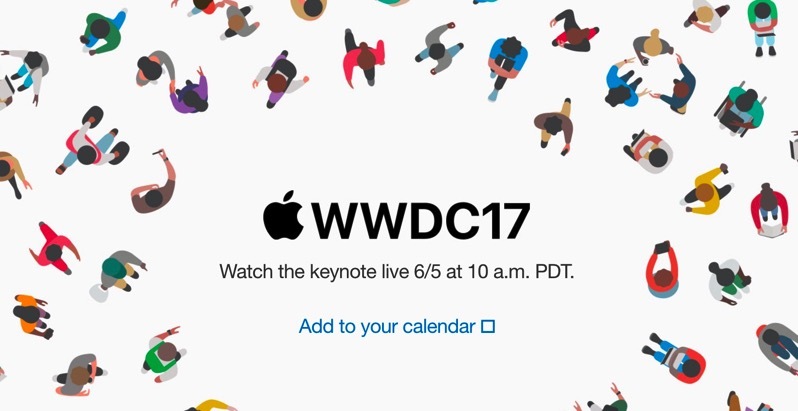 Apple has confirmed what everybody already expected: its WWDC17 keynote live stream will take place at 10AM PDT/1PM EDT on June 5th. The company has published its June 2017 event to its events page, which details the keynote start time. Apple’s website also is showing a thumbnail to the event page as well. Apple TV also now has the Apple Events app being updated with the developer conference’s logo. WWDC17 will be viewable on Safari for iOS, macOS and tvOS users, and those running Windows Edge on Windows 10. If you want to watch this year’s keynote on Windows, this workaround with VLC may work again. Apple is expected to preview next-generation versions of iOS, tvOS, macOS and watchOS, plus possibly unveil a Siri speaker and 10.5-inch iPad Pro.